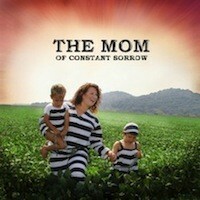 A Note from Sue Fabisch – owner and founder of Mommy Music Inc. I opened Mommy Music Inc. in 2004 because of an obnoxious comment I read in a book. A famous songwriter (who shall remain nameless!) wrote that when he was looking for songs to record, and had exhausted every other option, he turned to ‘The Housewife Pile’. That’s the box where they threw the tapes that were mailed in from housewives who thought they could write songs. When I read that, I was FURIOUS!! Here was this accomplished songwriter and his friends lumping every musical woman that had children into the frumpy Housewife Pile. I wanted to show him and the rest of the music business, that not only can mother’s be talented songwriters, but we’re also real-live, bachelor-of-arts-in-music-degree-holding women that CHOSE to raise children at the same time as pursuing our careers. And there’s NOTHING wrong with that! We are every bit as professional musicians as our male counterparts, except that they don’t have to breastfeed before running to the studio. Below is a a short list of the accomplishments of Mommy Music Inc. And while everyone keeps calling it a niche market, I would beg to differ . . . Everyone either has a mom, had a mom or is a mom, right? Doesn’t sound too niche to me. In 2002 “The MOM of Constant Sorrow,” Fabisch’s parody of the wildly successful “Man of Constant Sorrow,” garnered airplay on over 200 radio stations and was a hit on the Great American Country (GAC) video network. Sue opened Mommy Music Inc in 2004 with the debut of “The Avon Lady Album”. The album featured four songs to inspire and motivate Avon Ladies and was marketed by Avon Products Inc for their 3 million representatives worldwide. 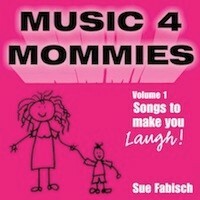 In 2006, Sue’s first full-length CD “Music 4 Mommies Volume 1: Songs to make you laugh!” hit the Top 10 spot on Billboard Magazine’s Comedy Chart. In 2007 Sue’s song “I Don’t Think About It” (co-written with Ilene Angel) was recorded by Emily Osment (co-star on Hannah Montana) for her new movie “RL Stein’s The Haunting Hour – Don’t Think About It”. The song soared up the charts on Radio Disney and hit #1 in record-breaking time. 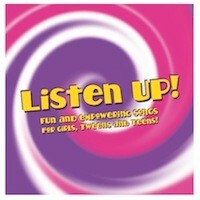 The success of “I Don’t Think About It” inspired the album “Listen Up!” which is a collection of CLEAN, fun and empowering songs for girls. The songs with titles like “Best Friends Forever” “Our Song” and “We All Fall Down” are meant as uplifting messages for girls, with positive lyrics. 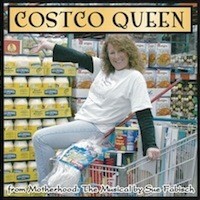 In 2010, look for Motherhood the Musical coming to a theater near you! In 2010-2013, Motherhood the Musical played to sold-out audiences in Ft. Lauderdale, Tampa, Atlanta, Dallas, Philadelphia, Chicago, Huntsville, Providence, Scotland as well as a 2-year tour of Australia. 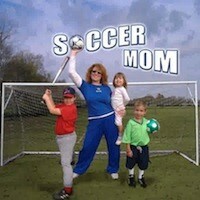 Look for Motherhood the Musical coming to a theater near you soon! In 2013, Sue debuted “David Michael Finkelstein’s Bar Mitzvah” – look for this original 90-minute musical (which can play as either a traditional stage show OR with Interactive Audience Participation) to roll out across the nation.